A Year in the Secret Garden introduces the beloved children’s classic, The Secret Garden to a new generation of families. 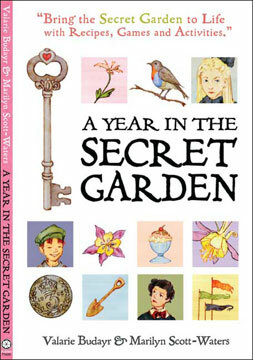 With over 120 pages, with 150 original color illustrations and 48 activities, A Year In the Secret Garden encourages families to step away from technology and into the kitchen, garden, reading nook and craft room. 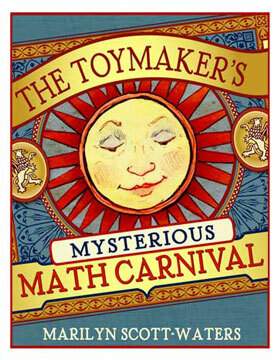 Turn homework tears to giggles with The Toymaker's Mysterious Math Carnival! Only $9.95 for twelve downloadable paper toys and games that make learning math fun. 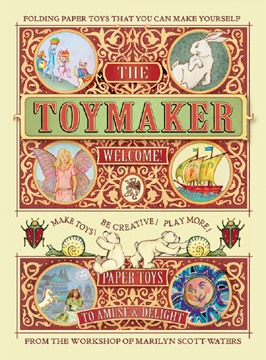 The Toymaker: Paper Toys That You Can Make Yourself contains the following toys printed in color on fine paper, a Sun Box, Spinners, Marble Mice, Tooth Fairy Gazebo, The Happy Bus, A Bug Box, A Bear Wagon, Florimel the Magnificent, A Butterfly Basket, A Window to Fairyland, A Penny Aeroplane, The Toy Shop, A Dream Theater, two Penny Butterflies and a Cootie Catcher with instructions. The toys are simple enough for younger children yet whimsical to intrigue older kids, as well as the young at heart. Available on my Etsy page for $12.95.